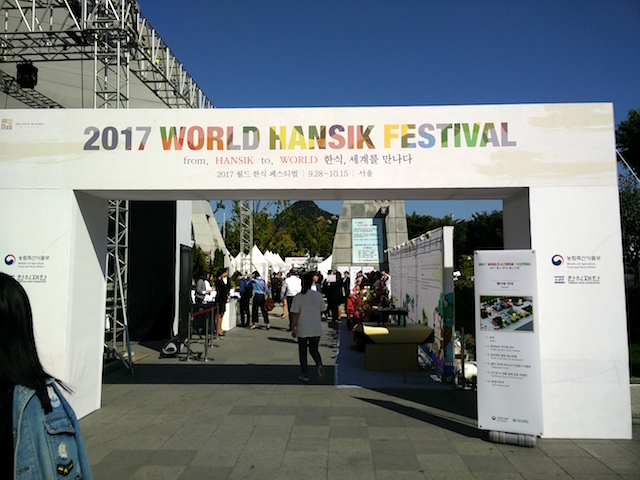 The second edition of the World Hansik Festival took place on the 28th and 29th of September in Seoul at the Sejong-ro park. 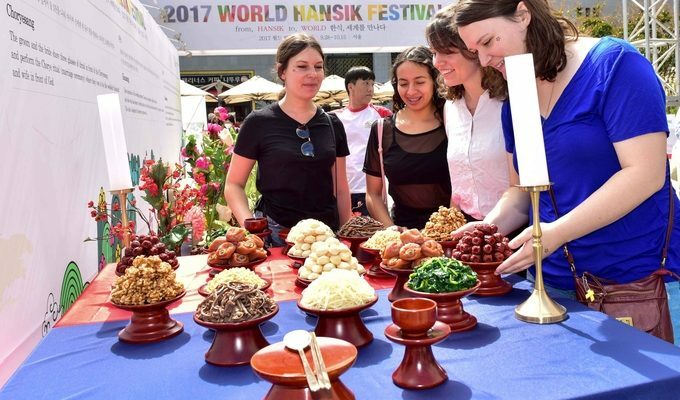 This event, organized by Hansik Food Foundation and Ministry of Agriculture, Food and Rural Affairs aimed to make Korean Food and culinary culture known to the world. 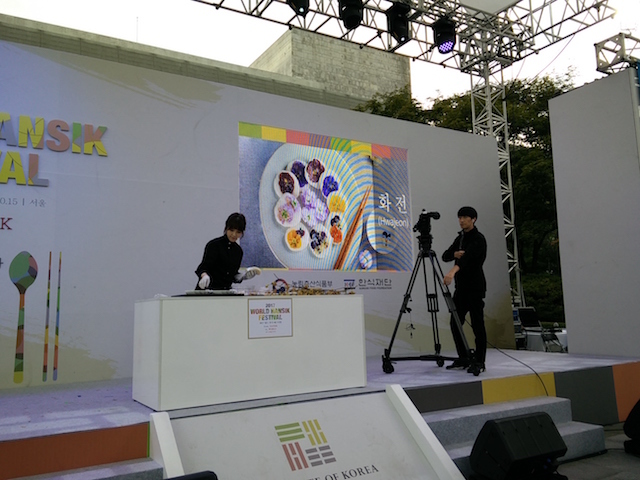 An interesting program that included art performances, cooking demonstrations and panels that showcased many unique aspects of Korean food. 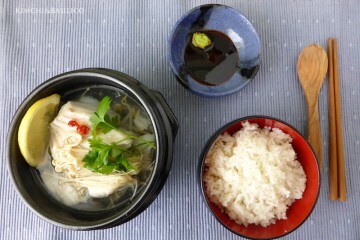 Focusing on traditions and ceremonies, visitors could experience among others, Wedding ceremony food and Traditional Alcholic drinks with food pairing. 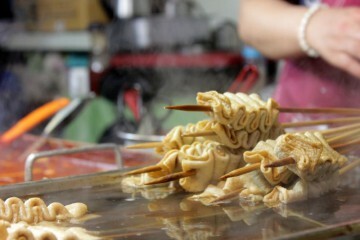 The Young Farmer and Pop up restaurants were also present for all duration of the event. An interesting initiative to promote local products and the new ideas that young entrepreneurs and chefs brought to promote Hansik globally. 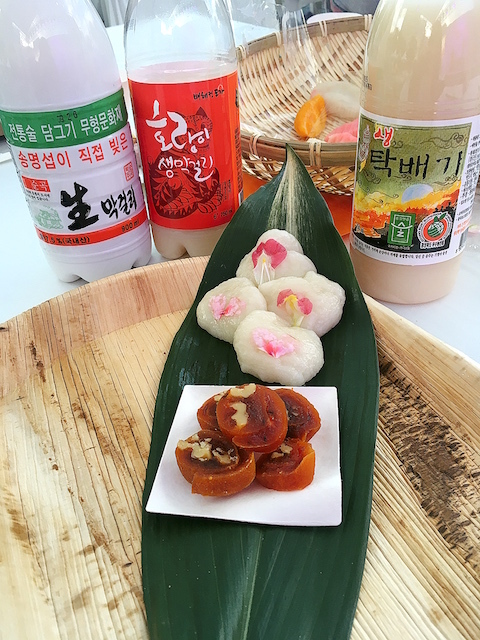 We joined the class of Juansang (liquor table) presented by chef Hyeon-Ji Myeong during which we prepared traditional sweets (seongpyeon and hwajeon) and enjoyed them with three different kind of makgeolli (rice wine). 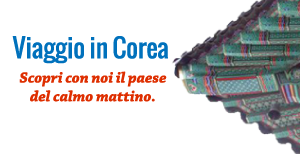 The day continued with performance by “Painters” group and traditional Korean music concert. Guests from Institutions, Embassies and regional government. 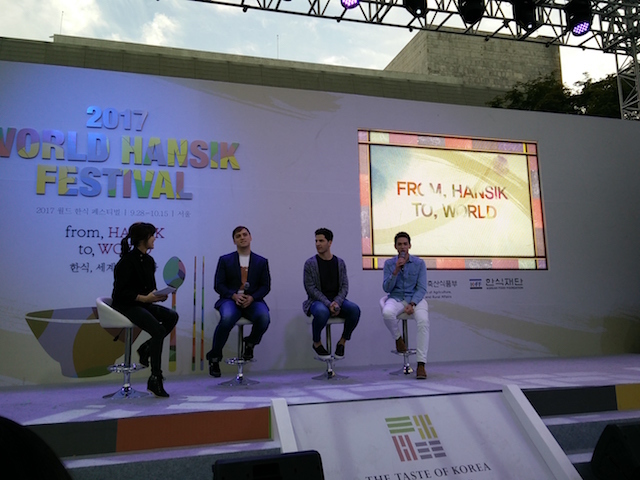 The day ended with a discussion panel about Hansik with the guests from the TV Show “Non summit” Alberto Mondi, Daniel Lindemann and Guillame Patry, discussing their own experience and ideas about Hansik and Globalization of Korean food. 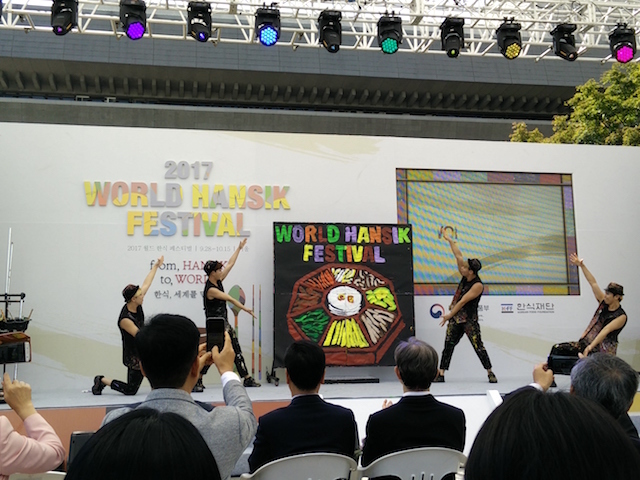 The two days event has been a good opportunity for people to learn more about Hansik and experience Korean culinary culture and traditions. 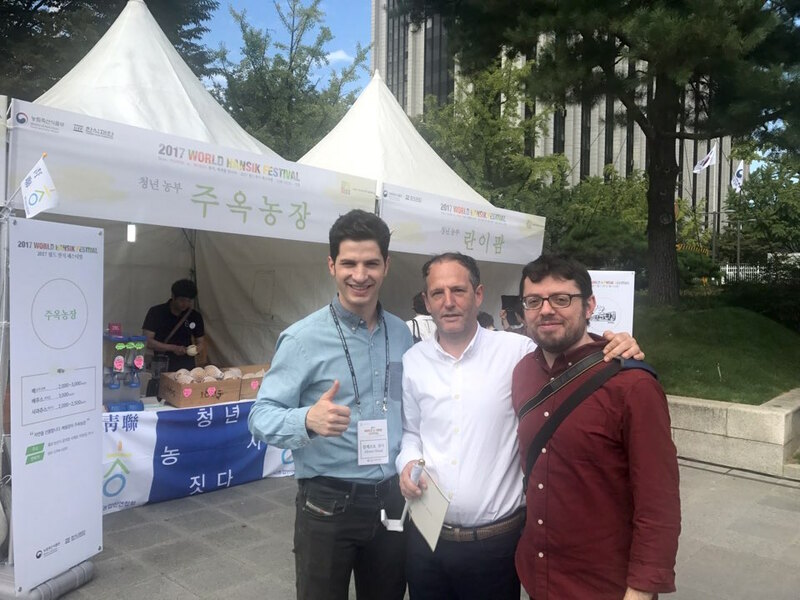 Promoting Korean Food globally is an effort that hopefully Korean Food Foundation will pursue consistently in the coming years by organizing more of similar events abroad and collaborating with professionals of the Food industry such as chefs, farmers and food journalist to reach a wider audience and explore the many aspects of Hansik. 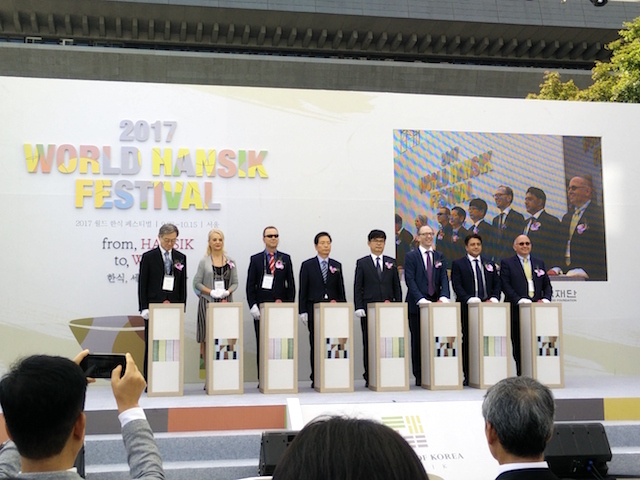 Looking forward to attending the next edition of World Hansik Festival in 2018!